What’s the stupidest thing you’ve ever done? Maybe you had one, two…maybe two more drinks than you shoulda had before whippin’ the front of daddy’s S-Class into the back of a K-Mart. Perhaps Alex from Finance caught you fudging the numbers just a tad on that expense report from the last convention in Vegas. You know, the one when you and Rick snuck away from the group to hit up Peppermint Hippo and he told you he left his corporate card back at the hotel…after ordering two bottles of Armand de Brignac and putting like 7.6 lap dances on credit. Or maybe you did something that was a whole lot worse. Maybe your biggest mistake was not only stupid, but also despicable. 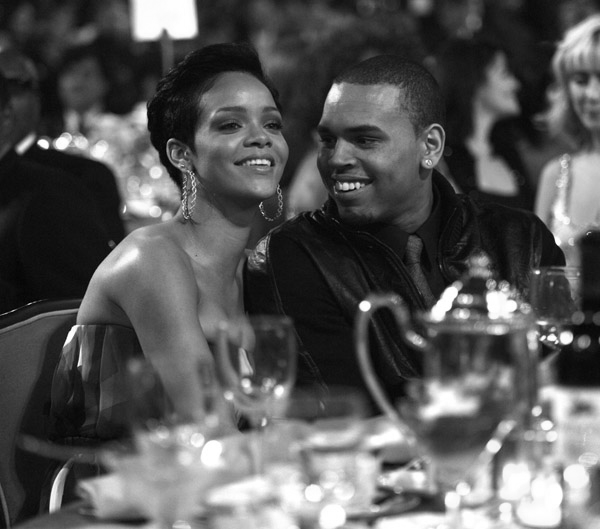 If so, you’d be rolling in the deep with Breezy himself, Mr. Chris Brown. Unless you’ve been sleeping under a dude sleeping under a rock in the Mariana Trench, you know that Chris was accused, plead guilty to, and was convicted of assaulting his ex-girlfriend Rihanna. For this offense he was sentenced to five years of probation and six months of community service. More importantly, he was rightly strung up by the public and the media and forced to endure a well-deserved gauntlet of castigation and ridicule. Oh, and he was unofficially banned from the Grammys, which is widely touted as the biggest night in music. That Grammy embargo was lifted this year along with the lid on Hell, apparently. I mean, muthaphuckas was UPSET. For many folks, dude’s appearance on that stage was like bringing a pork chop sandwich with melted cheese into the Holy of Holies…on a Saturday. In their minds, Chris Brown should remain persona non grata for the remainder of his life, and anything less is a (gulp) smack in the face to women everywhere. They would have us accept the view that the stain of domestic violence is one that cannot be erased from the abuser’s hands. I believe in the primacy of justice in a good society. Therefore, I cannot do that. Think back again to that stupidest and/or darkest deed of yours. Now imagine that instead of it being someone’s moderately embarrassing joke on Thanksgiving, or a grimy spot blessedly obscured by the sands of time, it occupies a massive stage, leering at you beneath an ever-blaring spotlight. While this description fits Chris’ situation perfectly, it also applies to those of hundreds of thousands of other African-Americans who made mistakes big enough to put them in the grasp of the grinder that is the American criminal justice system. According to the Independent Committee on Reentry and Employment, up to 60% of the formerly incarcerated in New York State alone are still unemployed one year after they make it home. On top of that, many states don’t allow those with felony convictions to vote, thereby denying these individuals of the very essence of citizenship. Once you consider the fact that black males are incarcerated at a rate that’s seven times higher than white men, the Instagram I’m sending should be hittin’ the top of your goddamned feed. One man described his utterly pitiful situation this way: “You can’t get a job. You can’t vote. You can’t do nothing even 10 or 20 years later. You don’t feel like a citizen. You don’t even feel human.” This is changing, but not nearly fast enough. Whether it’s due to a warped sense of morality or a willing indulgence in vengeance, too many people refuse to give these individuals a second chance, and that ain’t justice. That’s just bigotry wearing a self-righteous mask. I am in no way suggesting that we should just toss homeboy’s offense into the sea of forgetfulness and pretend that it never happened. While none of us were there and as such cannot know exactly what went down, we know that Chris admitted to wrongdoing. And since he’s a celebrity, what HE should know is that his personal life will always be somewhat public. (Sorry, kid, but that’s the cost of doing business.) As such, I have no problems with reporters asking him questions about the incident and its aftermath or comedians taking the piss out of him during routines. But banning him from any public appearance? Blowing up Twitter, Facebook and the blogosphere with rants that suggest his Grammy appearance and win were like, the equivalent of Bull Connor hosting the BET Honors and winning an NAACP Image Award? I think notly. Dude is trying to pick up the pieces. Keep in mind that he was 19 years old when this went down and that he’s still only 22, attempting to deal with the onslaught of a force that won’t take “I’m sorry” for an answer. Take a second and reflect on how befuddled thou were in thine own mind at that age, then give Chris Brown a similar chance to learn from his mistakes and become a better man. Yeah, he occasionally has verbal and electronic outbursts, or breaks a window or two, but this is to be expected from a still maturing human. As long as he keeps his hands on a mic and not on a woman, we should let this man live. Odin knows, none of us are without sin. So back away from the stones, or don’t be surprised if that glass house of yours suddenly gets a little draftier.